SINCE ODA's INCEPTION IN 2007, IT HAS QUICKLY EMERGED AS ONE OF THE MOST RECOGNIZED FIRMS OF ITS GENERATION, PROMPTLY ESTABLISHING A REPUTATION FOR DELIVERING IMAGINATIVE AND MOLD-BREAKING DESIGNS. SEEKING TO REORDER ARCHITECTURAL PRIORITIES BY PUTTING PEOPLE FIRST. ODA CHALLENGES CONVENTIONAL PERSPECTIVES OF DWELLING THAT WILL, OVER TIME, INFLUENCE LIFE IN OUR CITIES. THROUGH A RANGE OF PROJECTS, ODA SEEKS TO RECONCILE THE CONDITIONS OF VERTICAL URBAN LIVING WITH THE QUALITIES WHICH BENEFIT AND NURTURE US AS HUMAN BEINGS: THE DESIRE FOR PROTECTED SHELTER WHILE OBSERVING WIDE PERSPECTIVES, THE SEAMLESS TRANSITION BETWEEN INDOOR AND OUTDOOR SPACES, AND THE GENERAL IMPROVEMENT OF LIFE THROUGH GOOD DESIGN. ODA CREATES VALUE WHICH BY ITS NATURE CAN BE REPLICATED AGAIN IN ANOTHER FORM. P. Christian Bailey, AIA, LEED(r), studied architecture at Virginia Tech in Blacksburg, Virginia. After graduating with a Bachelor of Architecture, he worked with design/build firms in Atlanta on various notable housing and furniture projects. 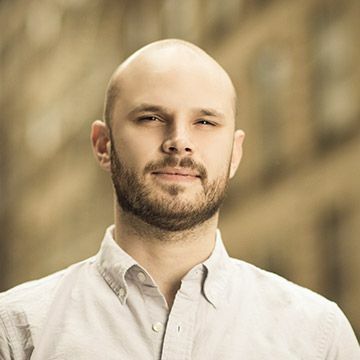 Prior to ODA, Christian was a senior associate at Perkins Eastman Architects in New York City. During his seven years at the firm, Christian provided project management and design leadership for multifamily housing, hospitality, interiors, health care, and educational projects. 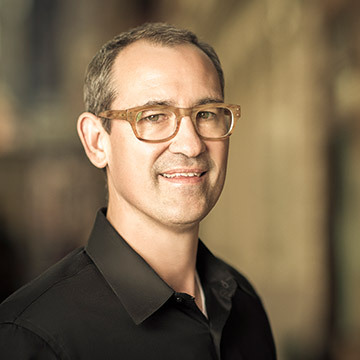 Christian is a founding principal of the architecture and design practice, ODA. He is a registered architect in the State of New York, a member of the American Institute of Architecture, a LEED accredited professional and is best known for his mildly sympathetic manner and generally nonplussed attitude toward everything. As Principal and Director of Interior Architecture / Design, Ryoko Okada leads a team of skilled professionals to produce highly original, custom solutions for residential, hospitality and commercial clients. Her passion and sophisticated sense of color, grounded in a knowledge of materials and finishes combine to form a distinguished vision that provides for uniquely innovative and memorable creations. Ryoko, a certified interior designer in the State of New York, has had an extensive history of working on a variety of interior and architectural design projects in the United States and abroad. Her broad professional experience includes numerous hospitality, residential, retail, and theater projects. She also has years of experience in creating client-specific custom finishes and furniture designs. 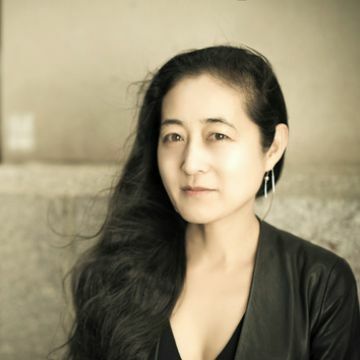 Ryoko received a Bachelor’s degree in Industrial Design from Chiba University in Japan and a Master’s degree in Interior Design from Pratt Institute in New York. 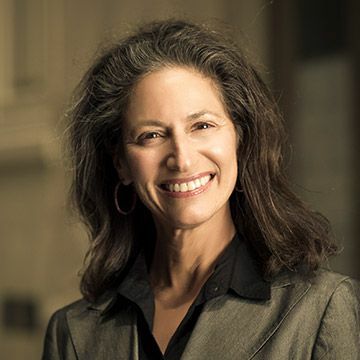 Prior to joining ODA her other selected firm experiences include Jeffrey Beers International, Rockwell Architecture, Planning and Design, Perkins Eastman and Hardy Holzman Pfeiffer Associates. Her work has been featured in Architectural Digest, Hospitality Design, Interior Design and New York Spaces, among others. Ali is a junior architect at ODA. She is from Cleveland, Ohio and received both her Bachelor and Master of Architecture from the Knowlton School of Architecture at the Ohio State University. During her graduate studies, she was awarded the Henry Adams Medal and the Alpha Ro Chi Medal for academic excellence. Before ODA, Ali worked at a firm in Columbus, Ohio where she focused mostly on multi-family residential projects. The type of built work that interests her is highly contextual while still imposing new ideas about site and formal relationships. She is also interested in the relationship between architecture and media culture. Publication is important to Ali, as she is an Editor-in-Chief of the Arch Out Loud Journal. She enjoys reading, throwing a frisbee, and riding her bike in her free time. Akshay joins ODA as an Intermediate Architect. He spent the last three years working on high-end multi-family residential projects at Robert A. M. Stern Architects in New York. Originally from India, Akshay earned his Bachelor of Architecture, and after gaining practical experience in Mumbai, moved to the United States to pursue further education. He earned a Master of Architecture at Cornell University in 2015. Akshay believes that architecture is the juxtaposition of abstract thought with logic. Just like cinema or literature, it is a transformative force that can impact social development and human behavior. 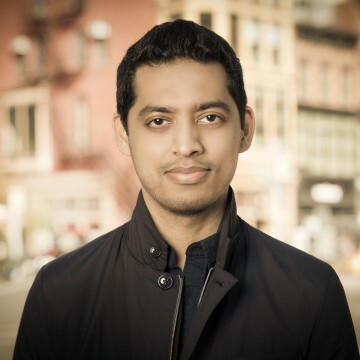 Outside of architecture, in his spare time, Akshay enjoys traveling, photography, and soccer. Debo was born and raised in the American Midwest in Normal, Illinois. Yes, it’s a real place! He received his bachelor’s and master’s degrees in architecture from the University of Illinois at Urbana-Champaign and spent his junior year abroad at the Ecole Nationale Superiere d’architecture de Versailles in France. Prior to studying architecture, Debo had dreams of being a chef for many years and believes the processes of experimentation and multiple iterations that crossover both professions ultimately inform his design approach. He is the son of a nurse and theatre professor, which he credits with creating his sensibility of amalgamating many cultures and ideas with care. He believes that architecture and design are a true amalgam of economic, social, and political forces, and are essentially the art of making visible the unseen. Before becoming an architect with ODA, Debo interned at Gensler in both Chicago and New York while in graduate school. After graduating, he moved to Boston and worked at AECOM for two years on transportation projects in Massachusetts, New York, and Saudi Arabia. 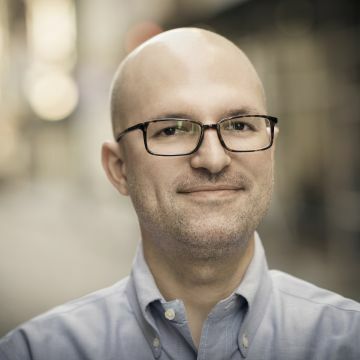 He later moved back to New York, working for COOKFOX on residential projects for three years before becoming a project management consultant for a non-profit specializing in affordable and supportive housing in the city. When not in the office, Debo loves to cook and entertain with dinner parties. He also plays the drums and watches loads of British television in an effort to perfect his accent. Mohammad began the practice of architecture in 2006 by designing and building a townhouse for his parents in Iran. Since then, he has been involved in the design of various residential and commercial projects. He has also actively participated in a number of national and international architectural events, competitions, and award-winning projects. He received a Master of Architecture from the University of Arizona, as well as a master's degree in Landscape Architecture from Tehran University. Mohammad fulfills his passion for architecture with the application of form and material to space. 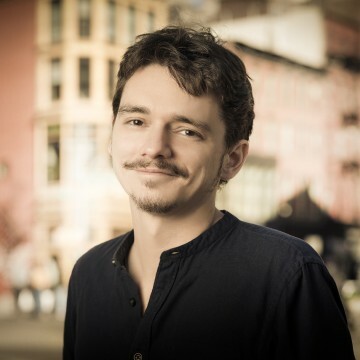 His work utilizes the characteristics and techniques of computational design and algorithmic thinking, with the aim of discovering a way to change the basic perceptions of the design process. 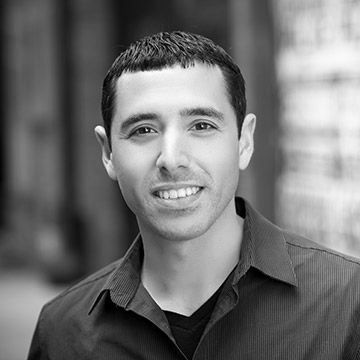 Prior to joining ODA, Mohammad worked with INC Architecture & Design and Dattner Architects. Originally from Kyiv, Ukraine, Vlad holds a Bachelor and a Master of Architecture from Kyiv National University of Construction and Architecture, and a Master of Interior Design from National Academy of Government Managerial Staff of Culture and Arts. Throughout his education, Vlad was interested in all aspects of the architectural environment, resulting in a professional foundation which includes public, commercial, residential, landscaping, interior, and exterior design. 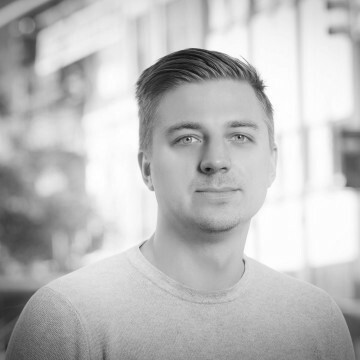 Before joining the ODA team, Vlad gained career experience in both Ukraine and the United States, working for several architectural and design companies where he contributed to designing high-end residential development projects, some of which were published in professional magazines. Vlad believes that architecture affects everyone, from infant to senior; from family to society. His goal is to accommodate ideas and possibilities into real projects and to bring the enjoyment of surroundings into everyone’s home. Emine was born in Boston, Massachusetts and grew up in Istanbul, Turkey. She also lived in several cities and towns across Switzerland including Geneva, Neuchatel, and Mendrisio. She received her bachelor’s and master’s degrees in architecture from Accademia di Architettura di Mendrisio in Switzerland. 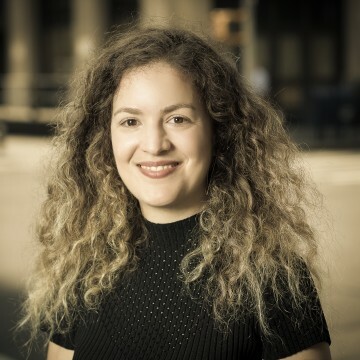 After completing her master’s, Emine worked at BIG in New York before joining ODA in 2018. Emine enjoys working on projects that foster human interaction and is interested in the public realm of architecture. She believes architecture should be aesthetically appealing yet practical. Emine likes traveling, visiting different exhibitions, doing yoga, skiing, and being in nature. 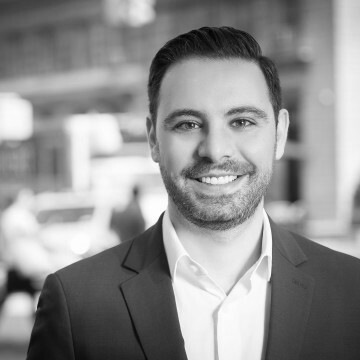 A well-versed project architect and manager, Francesco has worked on designs/schemes of various scales within the New York area that include residential, commercial, educational and manufacturing. Influences include Le Corbusier, Alvar Aalto, Louis Kahn, Renzo Piano. With over ten years of experience, he is knowledgeable in all phases of architectural design, building codes and zoning regulations. 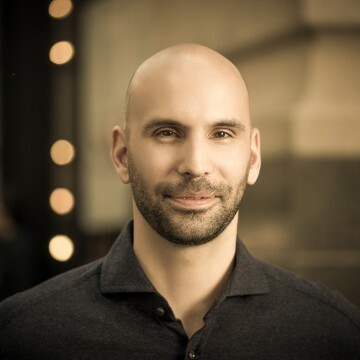 Prior to working in architecture, Francesco honed his skills as a detailer at an iron works company where he developed a technical background and a specialty in steel design. 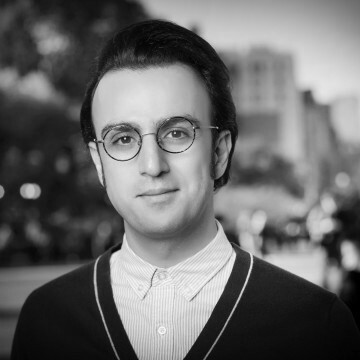 Francesco was born in New York and holds a Bachelor of Architecture from New York Institute of Technology. He derives pleasure from traveling and spending time outdoors in parks, at the beach, and near mountains. Chris is a native New Yorker. He received his undergraduate degree in Finance as well as a Bachelor of Science in Architecture from the New York Institute of Technology. Prior to working at ODA, Chris acquired hands-on experience working for a design/build firm where he gained knowledge and understanding of construction methods and building code. His expertise in all phases of architecture from design and planning through construction administration has been essential in his professional development at ODA. As a senior project architect, Chris is now responsible for directing a diverse range of projects in the greater New York City area. Chris is currently working on several mixed-use development projects. J.B. is a project architect at ODA. After studying civil engineering, his motivation about architecture brought him to Paris, France where he received his Master in Architecture from Ecole Superieure d’Architecture de Paris-Val-de-Seine. In 2012, J.B. moved to California to follow the International Student Program at the College of Architecture and Environmental Design at Cal Poly San Luis Obispo and give an interdisciplinary dimension to his own study of architecture. Prior to joining ODA in 2014, J.B. served at Pritzker prize winning firm Kazuyo Sejima + Ryue Nishizawa / SANAA, where he familiarized himself with international and multidisciplinary teams on large scale projects such as the new Louvre Museum in Lens, France. His interests in the architectonic leads J.B. to often compare architecture to music, motion pictures or anything that has a defined structure, especially one that is artistically pleasing. Born in France, François obtained a degree in Architecture from Ecole Nationale Superieure Paris Val de Seine. After discovering Landscape Architecture and Urban Design through an internship at Group Signes Paris, Francois decided to pursue a Bachelor’s degree in Landscape Architecture at the Ecole Superieure d’Architecture des Jardins et du Paysage. He started his US career in Washington, D.C. where he focused on urban design at PRI Landscape Architects. He then moved to New York and worked with firms such as ABB Landscape Architects and Gunn Landscape Architects on multiple gardens, roof tops and urban parks, in addition to several freelance projects. 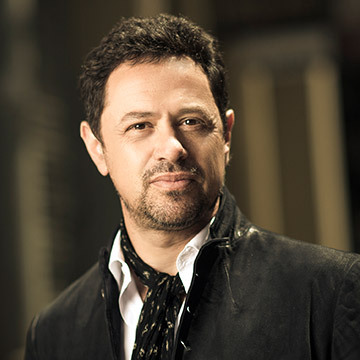 Overall, Francois has designed more than 20 unique projects in New York City and the Hamptons. He refers to his work as “mixed Landscape Design” where garden site lines and axes create a strong frame for a wild and naturalistic planting. He believes that the most successful landscape design integrates the sky and natural elements. Francois joins ODA as a Landscape Architect and hopes to utilize his knowledge and expertise on various landscape projects. In his free time, he enjoys scuba diving, trekking, sailing, and gardening. Since the age of 6, he has had an obsession with building tree houses. Jason is originally from Church Point, Louisiana and received his B.Arch degree at Louisiana State University. He is a project architect at ODA and has over 15 years of experience in such project types as multifamily housing, cultural, educational and religious projects. 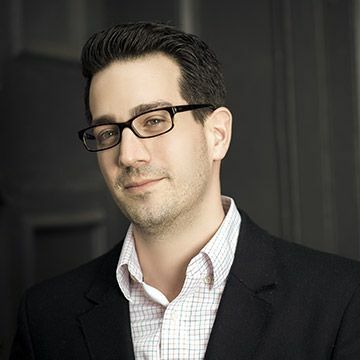 Jason is a registered architect in the State of New York, NCARB certified, a member of the American Institute of Architects and is a LEED Accredited Professional. Jason brings an enthusiasm for sustainability and has a team-based, collaborative approach to exceptional design. Yoonah was born in Sydney, raised in Korea, and lived in Shanghai and Maryland during her high school years. She is interested in material and architecture that has a narrative quality. 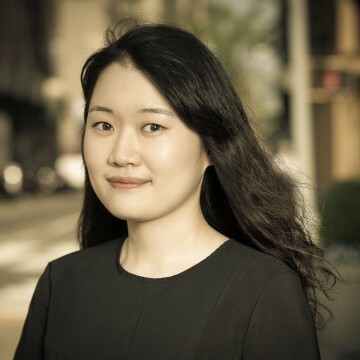 Yoonah received her Bachelor of Architecture from Cooper Union, where she spent the past year working on her thesis project – a study on the literary narrative and its translation into architecture. Specifically, how a compilation of letters can indirectly portray a protagonist and then be translated as reflections of mirrors and glass throughout the city. She enjoys taking evening walks around New York and other places to which she travels. 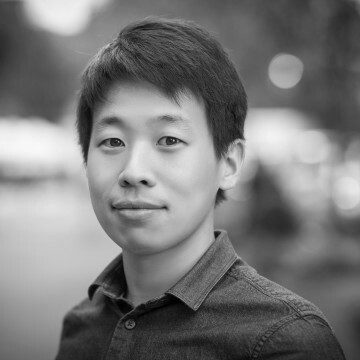 Jae Chung holds a Bachelor of Landscape Architecture from the University of Illinois at Urbana-Champaign and a Master of Landscape Architecture from the Rhode Island School of Design. He is originally from Seoul, Korea, but spent his 20s in the American Midwest, followed by the New England area. 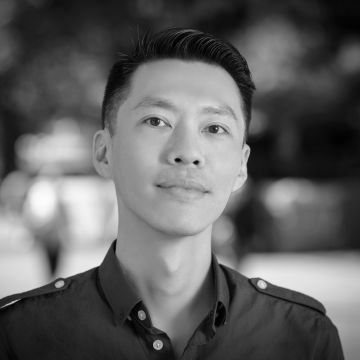 Throughout his higher education, Jae was interested in and actively investigated social relationships among architecture and landscapes in the city. He concluded that these spaces consequently reflect the public's needs, and designers can suggest rewarding paradigms for these spaces. In his spare time, Jae likes to visit public places, such as cafés and plazas. He enjoys observing how people utilize these spaces for daily activities and often thinks about how they can be improved. Ruth was born and raised in the always cool Brooklyn. After raising four children in Englewood, New Jersey, she and her family happily resettled across the river in Manhattan. Ruth earned a Bachelor’s degree in Accounting from the Wharton School, University of Pennsylvania and recently completed the course for a Certificate of Financial Planning at New York University. 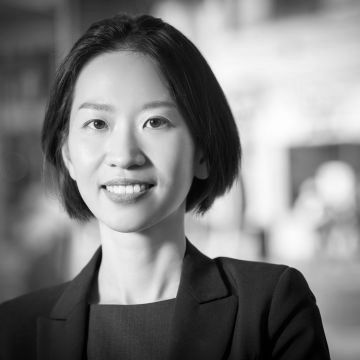 She is the Chief Financial Officer and Human Resources Director at ODA and brings many years of experience in both for-profit and not-for-profit organizations. She swims daily, travels frequently, and enjoys off-Broadway theatre, cooking and baking. The team at ODA benefits greatly from her epicurean pursuits. Karen designs with care and an open heart for communication. Working collaboratively with clients and project teams, she enjoys creating environments that support the wellbeing of users. Karen loves the creativity involved in fulfilling the requirements in all design and construction phases, which are unique from one another. Inspired by Louis Kahn’s architecture, Karen’s work reflects her love for simplicity. Resourceful and thorough in her approach, she strives to find the essence of quality in everything she does; by carving away excess, her designs are elegant, vibrant and dignified. After receiving an Architecture degree in Taiwan and a Master's in Interior Design from Pratt Institute, Karen gained experience at Mancini Duffy and Skidmore, Owings and Merrill on multi-dimensional projects with extensive scopes, such as institutional, corporate interiors, health care and commercial properties. At ODA Karen focuses mainly on high end residential design and quality control of the design process. Karen enjoys light travel and strives to live life passionately and with ease. 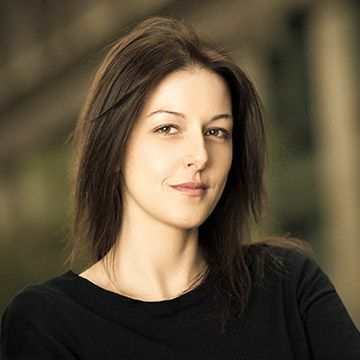 Olivera Grk earned her graduate degree in Architecture from the University of Belgrade where she was the recipient of the Faculty of Architecture Best Student Award. 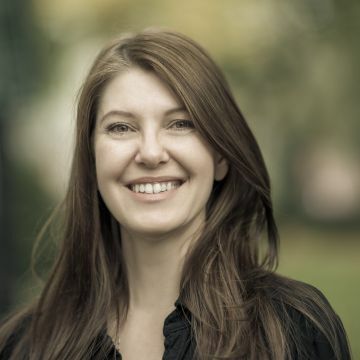 She received a post-professional degree, a Master of Science in Advanced Architectural Design from Columbia University Graduate School of Architecture, Planning, and Preservation, where she was granted the Honor Award for Excellence in Design and the William Kinne Travel Grant. Olivera’s initial design interests were driven by informal urban practices actuated by the transition in the Western Balkans with an emphasis on post-war phenomena of divided cities. Later on, her work overlaid the sociopolitical mappings with algorithmic processes. Olivera’s computational experiments have been exhibited at the Machinic Processes Exhibition, Architecture Biennial Beijing 2010. Olivera has collaborated with offices in Belgrade, Beirut and New York. She was involved in large–scale governmental projects and numerous city plans in Serbia, Montenegro, Bosnia and Mexico. Prior to joining ODA, Olivera worked for the OMA New York office where she collaborated with performance artist Marina Abramović. Born in Spain into a family with an extended architecture tradition, Patricia earned her graduate degree from ETSAB, Architecture School of Barcelona. Thanks to school merits she also studied at the City College in New York under an exchange program scholarship. She expanded her studies becoming an auxiliary Interior/Industrial Designer at the Llotja Art & Design School of Barcelona and began working at Ravetllat Ribas Architects where she participated in several small and large scale competitions. She has also worked at Joaquin Gortari´s studio, acquiring knowledge in restoration and small residential projects and at Bond Bryan Architects in the UK immersed in the education field. Marked by a dynamic spirit, Patricia has participated in architectural workshops that involved traveling and multicultural exchange experience such as the EASA International Workshop Wastelands in Helsinki. During her travels she was deeply influenced by northern European architecture which encourages a strong connection with materiality, light and the historical context while transmitting a modern vision. At ODA, Patricia adds her multicultural perspective and experience collaborating in the design of several residential, cultural mixed-use projects and competitions. Ivan is originally from Bogota, Colombia, but has lived in New York for the past 18 years. 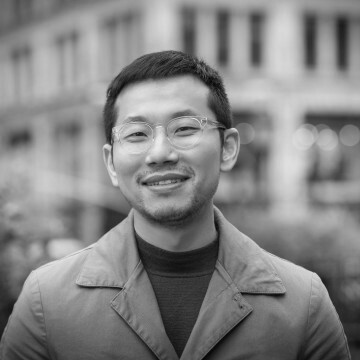 Prior to joining ODA, he worked as a project architect on affordable housing projects in New York City and throughout the state. 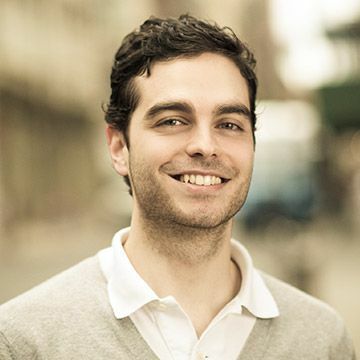 He holds a Bachelor of Industrial Design from Jorge Tadeo Lozano University, and received his Master of Architecture from the City College of New York in 2009. During his college years, Ivan worked as a draftsman in the woodwork industry, producing drawings for residential and commercial projects. Ivan enjoys finding creative solutions to problems that make architecture and design attractive and thoughtful, ultimately creating spaces that are both livable and interesting. He admires the work of architects such as Alvar Aalto, Renzo Piano, Louis Khan, Alvaro Siza, and the Campana brothers, among many others. During his free time, he enjoys spending time with his family and attending his kids’ swim meets. 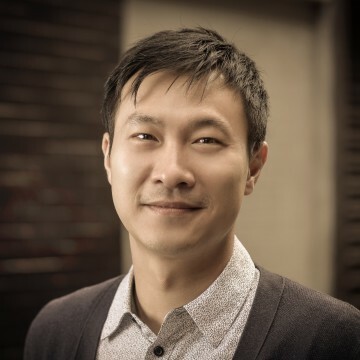 Shin-Yau Huang is a Registered Architect in the State of New York, a member of the American Institute of Architects and American Institute of Certified Planners, as well as an LEED Accredited Professional. 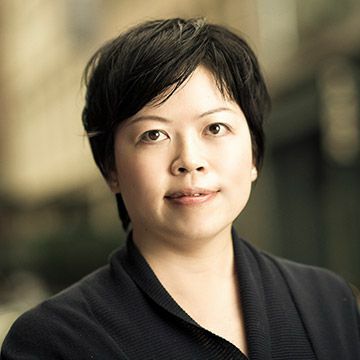 Shin-Yau received her Bachelor of Science in Architecture from National Cheng-Kong University in Taiwan and her Master of City and Regional Planning and Certificate of Urban Design from the University of Pennsylvania. 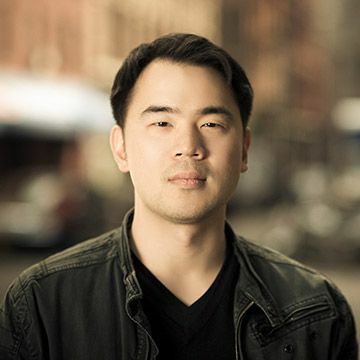 Prior to ODA, Shin-Yau was an Associate at Beyer Blinder Belle Architects and Planners in New York. As an architect, planner and urban designer, she has worked on a range of projects of multiple scales, both locally and internationally. Her ten years of professional experience focused on master planning, adaptive reuse, and mixed-use residential and commercial development. She aspires to design great spaces that respond to and shape their neighborhood context, enhance the urban environment, as well as improve quality of life. Most recently, she worked as a Project Architect on the Seward Park Development Site 5 project, a 15-story mixed-use development on the Lower East Side of Manhattan and one of the nine sites in the 6-acre Seward Park Mixed-Use Development Project, also known as Essex Crossing, the largest stretch of undeveloped City-owned land in Manhattan below 96th Street. Aside from her work, Shin-Yau loves to travel for adventure. She loves to visit art museums and botanical gardens to find beauty and inspiration. She also practices yoga for peace and happiness. Elizabeth spent her formative years moving around the country, living in more than a dozen cities across seven states, but considers both Kentucky and New York home. Before landing back on the east coast, she lived in Los Angeles for eight years, getting her fill of the SoCal lifestyle. Prior to joining ODA, Elizabeth worked for two other architecture firms in operational, marketing, and communications roles. She received her bachelor’s degree in art history from Hunter College, where she focused on contemporary art and architecture and their roles in the urban environment. 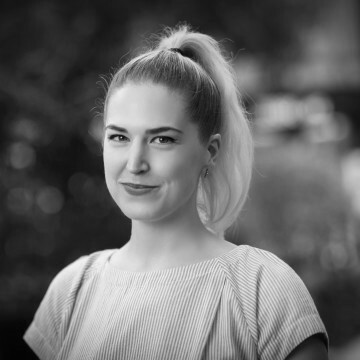 In addition to being the firm’s executive assistant, Elizabeth also serves as art director for its newly-formed arts initiative and rotating gallery space. Some of her favorite creative minds include Mark Rothko, Jackson Pollock, Vincent Van Gogh, Pablo Picasso, Mies van der Rohe, and Renzo Piano. She loves to paint, sew, read, and write, and is currently working on perfecting her knowledge of the German language, in which she is, “nearly fluent”. Celia is originally from Zamora, Spain. Having grown up in a Spanish town full of Romanic churches, she is often fascinated by the scale of New York. Celia studied at Universidad Europea de Madrid where she earned a bachelor’s degree in architecture. She has been influenced by the work of Mies van der Rohe, Lacaton & Vassal, as well as Junya Ishigami. Celia is interested in the presence of art and nature in architecture, particularly how the integration of these elements within a project can lead to better design. Prior to joining ODA, Celia worked at amid.cero9, an office based in Madrid. While there, she worked on the design and construction administration of several cultural projects. She also worked with the engineering company ACCIONA on civil projects. She later joined Fernando Romero’s office, FR-EE, in New York where she worked as a project leader for four and a half years on a wide array of projects ranging from cultural and masterplan to residential, transportation, and product design. During her free time, Celia enjoys seeing exhibitions and catching up on movies, especially documentaries. She is also very interested in furniture and fabric design and has produced some sample dresses. Boram Lee Jung is originally from Korea and studied Architecture and Philosophy at the University of Seoul. He earned his Master’s degree in Urbanism from Harvard Graduate School of Design. His thesis at GSD was about a train moving from Korea to London passing through 24 countries. He envisioned the potential unification of South and North Korea and its implication at a regional and global level through train. Beyond his research, he made a series of five films where he explored, described and posed questions on notion of currency, border and territory. Before he joined ODA, he worked at Mass Studies and Atelier Jean Nouvel. Dawoon Jung originally hails from Jeonju, South Korea. 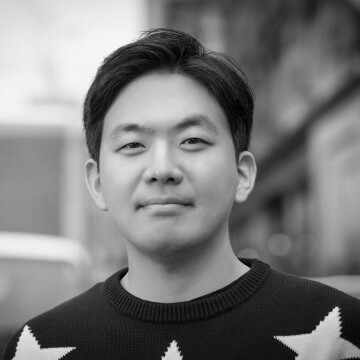 After gaining practical experience in Seoul, he moved to the U.S. to pursue further education, strengthening his design skills and broadening his architectural horizons. Attending the University of Pennsylvania had a positive effect on Dawoon’s architectural thought process and gave him an understanding of what he wanted to pursue as a designer; he believes architecture should have a solid balance between design aesthetic and practicality, and aims to incorporate both in his designs. Dawoon enjoys an active and energetic lifestyle. He loves swimming, riding his bike, and running in nature. He likes to watch UFC as well as other sports. 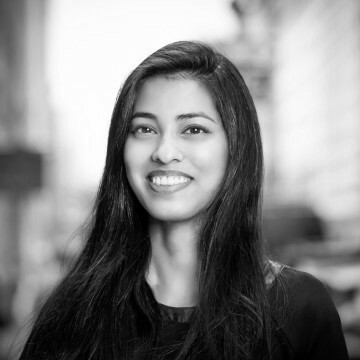 Saranya joins ODA as a Junior Architect. She is a recent graduate of the University of Texas at Austin, where she received a Bachelor of Architecture and minored in Business. Her experiences living in Austin, New York City, London and Mumbai have led her to appreciate urban environments and contemplate their complexities. She is interested in how the tangible architecture of cities can work in tandem with the intangible social, political, and economic forces that shape our urban experience. During her undergraduate studies, she investigated architecture as a response to societal trends-including the aging population, an increasingly freelance workforce, and the rise of the sharing economy. Saranya enjoys swimming, yoga, and searching for the latest addition to her collection of Hawaiian shirts. Born in South Korea, Dongyoung spent the majority of his childhood in Dallas, Texas. In 2001, he moved to New York to study at Cooper Union. During his time there, he had the privilege to learn from architects Raimund Abraham, Lebbeus Woods, and Diane Lewis. Also, during his studies, he turned much of his attention to the designs of Le Corbusier and Tadao Ando. His approach to architecture affirms the old adage that form follows function; that aesthetic decisions, no matter how elaborate, should be rooted in program and purpose. As director of Construction Administration he is involved overseeing the efforts to bring concepts to full construction, all the while maintaining the spirit of the project. Prior to ODA, Dongyoung worked as an architect for Perkins Eastman. Paul is originally from Atlanta, Georgia. He received his Bachelor of Architecture from Carnegie Mellon University. During his studies, he spent time at the Qatar Foundation in Doha where his exposure to the culture and values of the Middle East allowed him to explore design in context. By analyzing contextual cues and social issues, he came to believe that sensible design comes from the capacity to anticipate users’ needs. Prior to joining ODA, Paul has worked on hospitality and residential projects of various scales in Manhattan. 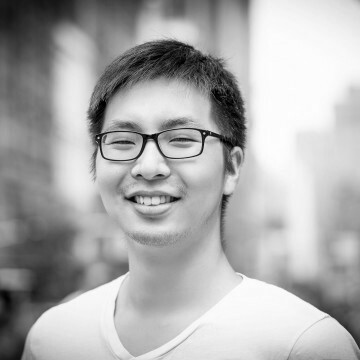 He is currently an Intermediate Architect at ODA and enjoys film, photography and woodworking in his spare time. Steven holds a Bachelor of Science in Architecture from the University of Southern Illinois in Carbondale and a Master of Architecture from the University of Pennsylvania where he studied for a summer in Paris and a semester at the Architectural Association. Originally from Central Illinois, Steven moved to the East for education and public transportation. He is interested in the juxtaposition of ideality and reality in contemporary culture and practice. Steven enjoys intellectual sparring, drop crotch pants and a smoky scotch. Brian is originally from Korea, but his demeanor is more representative of Southern California, where he spent his formative years. Brian holds a Bachelor of Architecture from University of Southern California and a Master of Architecture from University of Pennsylvania. Oki Sato influenced Brian's work and how to think about design, through his simple, functional, and unrealistic viewpoint. Ferda Kolatan and Albert Chen have most recently influenced Brian's work. Brian's approach to design includes a contemporary, conceptually based massing method and easily understood conceptual underpinnings. He uses various software programs and enjoys experimenting with materials and fabrication processes. Applying the concept of the kinetic in architectural design, he dealt with architecture and machines in recent work. He watches music and is motivated by observing the circumstance of playing and players. He also enjoys 3D printing in his living room. Kris has been a project architect with ODA since 2008. He received his Master of Architecture degree from Syracuse University in Florence, Italy and his Bachelor of Architecture from New York Institute of Technology. Kris started his work experience with Beckhard Richlan Szerbaty & Associates, a descendant firm of Marcel Breuer. There he gained firsthand knowledge of modernism and the legacy of Marcel Breuer while working on various high end health care facilities, institutional and residential buildings. 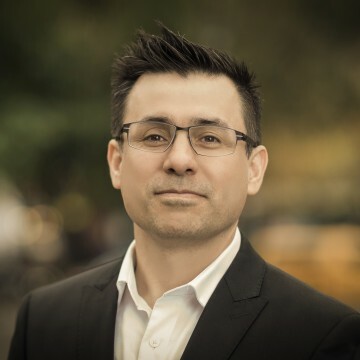 Kris has also worked on various high end residential and commercial interiors in New York, California and Tokyo with Mr. Yutaka Takiura, AIA, NCARB. Kris teaches as an adjunct studio professor at New York Institute of Technology School of Architecture. 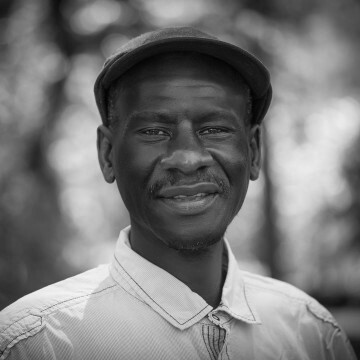 A native New Yorker, Kris enjoys traveling through Italy and spending time with his family. Born in India and raised in a family where art is predominant, Tulika drew inspiration from her mother, an artist of Indian classical dance. Choreography taught her the meaning of space - the occupied and unoccupied. She took these ideas and turned them into the formal study of architecture. Having received her undergraduate degree in architecture, she moved to New York in 2014. She attended Pratt Institute where she earned a M.S. Interior Design degree. Her thesis explored shared programming in under-utilized infrastructures such as parking garages. Before joining ODA, she interned at SHoP Architects and Morris Adjmi Architects. Tulika is passionate about all things design and enjoys taking photographs that weave and layer story. 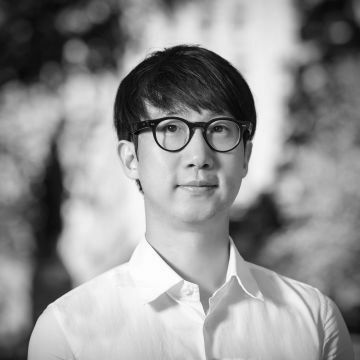 SeungBum Ma received his Master of Science in Advanced Architectural Design from Columbia University Graduate School of Architecture, Planning, and Preservation in 2015. He also holds a Master of Science in Architectural Engineering and a Bachelor of Architecture from Seoul National University. 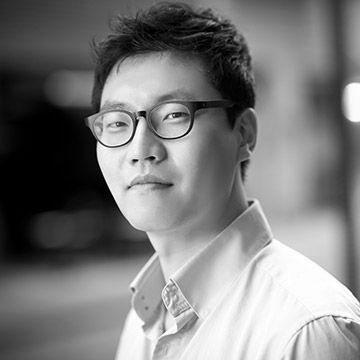 Before joining ODA, he acquired four years of working experience with various architectural firms in South Korea. SeungBum is interested in art and craftsmanship. While he was a member of an artists’ group called ‘Post-Eat’, he was selected as an ‘Emerging Artist' of 2008 by the Arts Council of Korea. He has collaborated with various artists and has curated many exhibitions in Korea. In order to investigate wooden joinery, he also became an apprentice to Yongsik Shim, a master of traditional Korean carpentry. He loves Louis Kahn and Alvaro Siza and consistently tries to establish his own architectural language while assimilating the influence of those who inspire him. Diego was born and raised in Bogotá, Colombia. He received his degree in architecture from Universidad de Los Andes and spent a semester abroad in ETSAM in Madrid. 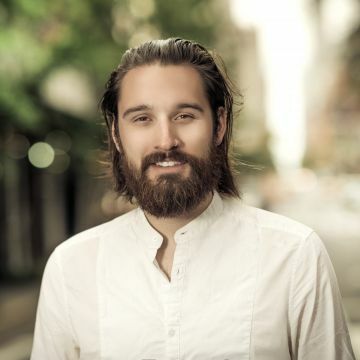 After working on mixed use and institutional projects, he came to New York to pursue his master’s degree in advanced architectural design at Columbia University where he gained interest in adaptive reuse projects. He believes that architecture is the re-interpretation of context translated into a spatial condition and tested in time. He is a licensed architect in Colombia, and in his spare time, enjoys sketching and biking. Katherine is from New York City and grew up in Queens. She studied architecture in Boston, MA at Wentworth Institute of Technology where she received both her Bachelor of Science and a master’s degree in architecture. While at Wentworth, Katherine had the opportunity to travel to Athens, Greece to study public spaces within a dense urban fabric. While there, she became very interested in the contrast between voids and the built environment and focused her research on how urban voids can inform their surrounding architecture both physically and socially. Katherine enjoys designing spaces that are simple and elegant yet interesting. She believes the allure of minimal spaces is found in well executed details, and this idea is tantamount to her design process; Katherine takes the time to understand the materiality of an area in order to create layered, multidimensional spaces. 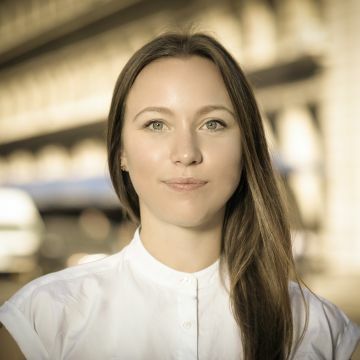 Before joining ODA as an interior architect, Katherine worked at Groves & Co., a small architecture and interior design firm in Chelsea, where she was the project manager/designer of a high-end residential project in the West Village. 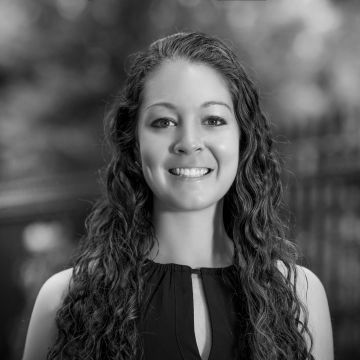 Katherine also had the opportunity to work at Elkus Manfredi Architects in Boston as a junior architect. At EMA, she worked on the construction administration of three new buildings on the Rutgers University campus in New Jersey. 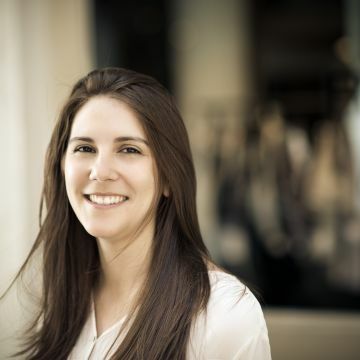 Katherine has worked on everything from conceptual design to construction administration to furniture design. Katherine loves traveling and tries to visit new places whenever she can. She finds much of her inspiration by exploring new cities and experiencing new cultures. She also loves dogs and has a two-year-old English bulldog. 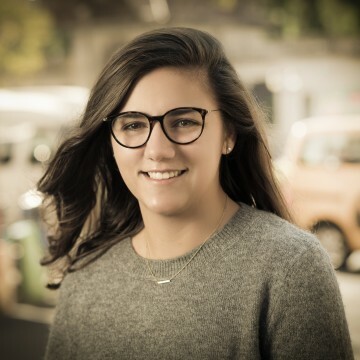 Adrienne is a Junior Architect at ODA and a recent graduate of Virginia Tech’s School of Architecture + Design where she received a Bachelor of Architecture. She had the opportunity to study for a semester at the Arkitektskolen Aarhus in Denmark where she addressed changing port city conditions as a part of Studio Urban Design + Landscape. She also engaged in a work/study with Skidmore, Owings, and Merrill in Chicago where she was able to reimagine Chicago’s public housing initiatives with the help of research done by SOM. The thread through her student work and thesis project is an interest in architecture in the urban realm as a lens for perception between occupants; and the conscious manipulation of that lens. 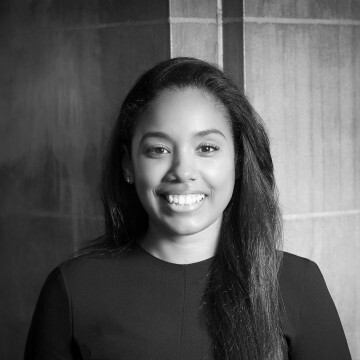 Adrienne was previously an intern at ODA as well as in practices in Detroit and Chicago. 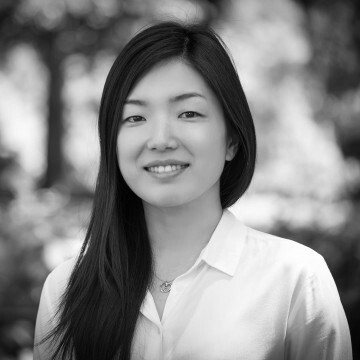 Natsumi grew up in Tokyo, Japan, but spent the last ten years in Richmond, Virginia. After completing her undergraduate degree in printmaking, she worked as a graphic designer for a knowledge integration specialist, as well as a graphic web designer before deciding to pursue a path in architecture. While pursuing her master’s degree at Virginia Tech, Natsumi spent semesters in both Switzerland and Japan, exploring renowned architecture and its history. As an architect, she explores the possibility of tranquility in architecture, and its development through the interwoven lines of traveling, designing, and reading. Some of her influences are Peter Zumthor, Raimund Abraham, Maki Fumihiko, and Kiyoniri Kikutake. Prior to ODA, she worked in Tokyo, as well as Ashland, Virginia, on small residential projects. Born and raised in New York City, Arta graduated from The Cooper Union with a bachelor’s degree in architecture in 2015. Prior to joining the team at ODA, she worked for an architecture and interior design firm in Miami, Florida. Arta seeks inspiration from film, art, and nature, always with a sketchbook on hand. Continuously fascinated by the scale of the human body, she approaches design by first addressing architectural elements at this intimate scale, and then progressively increasing its scope. Weather permitting, you will find Arta spending her free time at the beach. UnJae grew up in Northern New Jersey after moving from Seoul, South Korea at a young age. 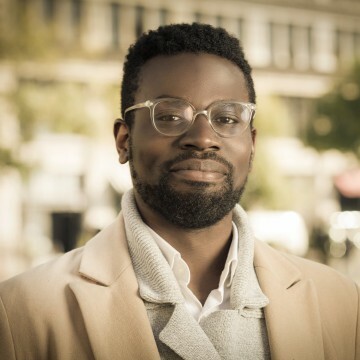 Having earned his Bachelor’s Degree of Architecture at Pratt Institute, UnJae believes that architecture is an opportunity to have a meaningful impact on people’s lives. Prior to joining ODA as an intern, UnJae worked on residential and commercial projects at a small architecture firm in New Jersey. He has also served as a volunteer and participated in missionary services in Turkey, Belize, and Haiti. UnJae is largely inspired by film and animation, and has a love for traveling, enjoys movies, playing music, and illustrating. Joanna holds a Bachelor of Fine Arts from Rutgers University with a concentration in Graphic Design. Since graduating in 2010, Joanna has had experience working in both office and art gallery settings. She joins the team at ODA as the current Office Manager where she helps maintain the administrative duties of the office and supports the studio staff. Joanna is originally from Poland and speaks the language fluently. 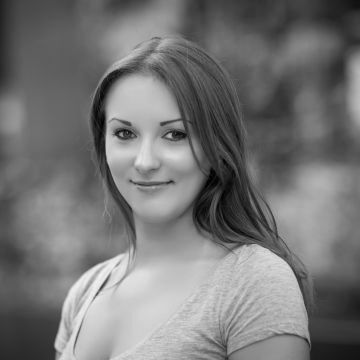 She is passionate about art and photography, and in her spare time enjoys working on freelance design projects. 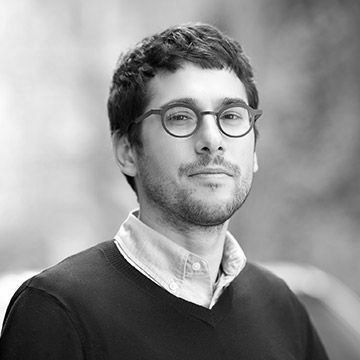 Juan Roque Urrutia is an architect and the director of communications of ODA. He earned his Masters degree from the School of Architecture of San Sebastian in 2011 after studying at the Fachhochschule Potsdam and working for Jeanne Dekkers in Delft. Juan Roque joined ODA in 2012. Since then he has worked on several projects and awarded competitions and has developed the framework for the office communications. He works across teams to support with creative content and is responsible for ODA’s outreach across marketing and educational channels. 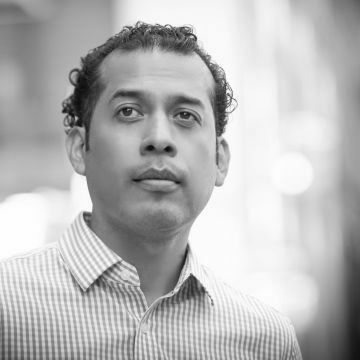 Juan Roque has been a guest academic critic at the School of Architecture at City College and the New York Institute of Technology. Joohwan was born in Daegu, South Korea. 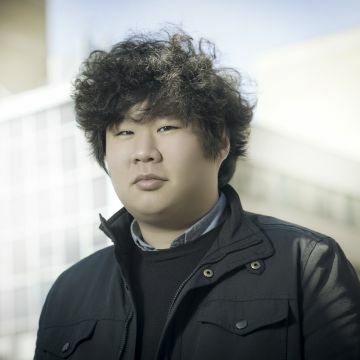 He received his bachelor’s degree in architectural design from Hanyang University in Seoul, and relocated to the states to earn his master’s degree from the University of Pennsylvania. During his studies, Joohwan had many opportunities to travel around the world, and was especially influenced by Eastern Asian architecture. Prior to joining ODA, he worked for a small firm in Philadelphia, where he specialized in architectural competitions. He loves Paul Rudolph, Renzo Piano, and Ando Tadao. During his free time, he enjoys traveling, playing tennis, and cooking. 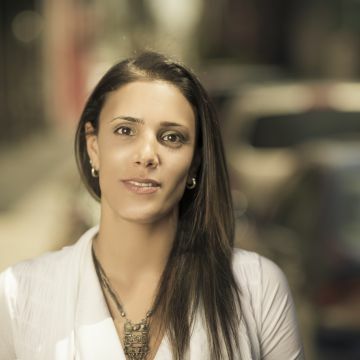 Yaarit Sharoni is a project director and senior associate at ODA. Yaarit brings a holistic vision to every project thanks to her academic training in architecture, sociology and psychology. Born in Israel, she earned her bachelor’s degree from the Bernard and Anne Spitzer School of Architecture at the City College of New York, where she has also served as a guest critic. 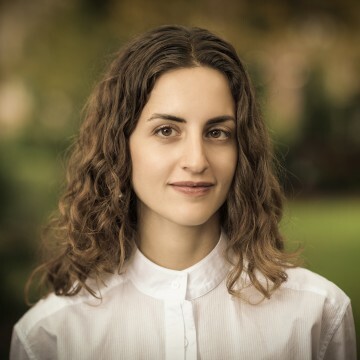 During her studies, Yaarit received the Bernard L. Spanier Memorial Scholarship for outstanding achievements in academics and design as well as the Matthew W. Delgaudio Award, presented by the New York Society of Architects. During those formative years she began investigating the social, economic, and political forces within architecture, which continue to shape her theories today. Since joining ODA in 2010, Yaarit has led awarded competitions and high-profile projects in New York, Los Angeles, and Europe. 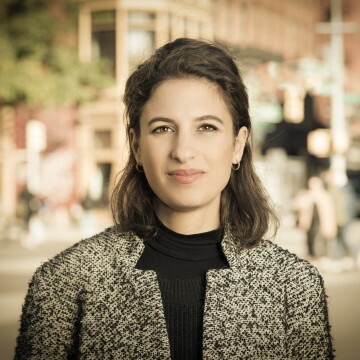 Yaarit believes that architecture as the art of space, form, and light can impact emotional and physical well-being, and she is committed to amplifying psychological and social benefits for individuals and communities. Asunción Tapia was born in México and received a Bachelor’s degree in Architecture from Benemérita Universidad Autónoma de Puebla in México. His work has been influenced by the architecture of the Aztecs and Luis Barragán. At ODA, Asunción works on the interior design team. Prior to joining ODA, he worked for Ronald R Borus Inc on high-end residential projects. When not working he likes to photograph and enjoys the art of painting. His work has been shown at the Queens Museum of Art. Alex Tehranian was born and raised in New York. 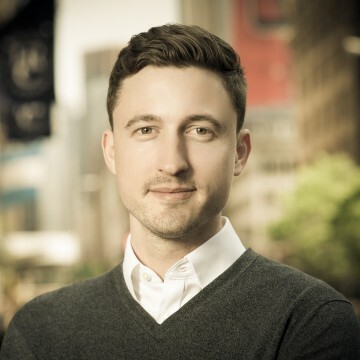 Prior to joining ODA as a Project Architect, Alex worked at Skidmore, Owings & Merrill where he led the design of residential, commercial, hospitality, infrastructural, and master planning projects in China and New York. He has also worked at REX in New York and Neil M. Denari Architects in Los Angeles, collaborating on a number of winning design competition entries. He received his Master of Architecture from Rice University where he focused on architecture’s ability to reorganize social interactions and influence economic and political patterns. Prior to his career in architecture, Alex received a Bachelor of Arts in Finance from Georgetown University and subsequently worked as a Finance Analyst at JPMorgan Chase. Heidi Theunissen grew up in South Africa where she lived and worked before moving to the US. She holds a Master of Architecture from the Knowlton School of Architecture at the Ohio State University. Before joining ODA as project architect, she worked at COOKFOX as architectural researcher and designer on projects ranging in type and scale from art installations to large-scale multi-use developments, infrastructure projects, schools and high-end single- and multifamily residences. Her design work is informed by ideas on biophilia and attempts to restore the relationship with the natural world within the built environment. In her free time, she indulges her obsession with architectural history and urban agriculture through teaching and growing food, and keeping bees, in unlikely places. Audrey, originally from Michigan, received her Bachelor of Architecture from Virginia Tech in 2014, where she studied the importance of theory and craft. 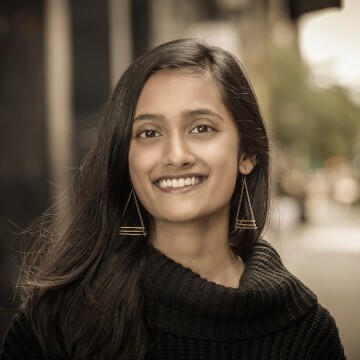 Directly from there, she studied at Columbia University's Graduate School of Architecture, Planning and Preservation in the Advanced Architectural Design program whereby she earned a Master's of Science of Architecture degree in 2015. She is particularly interested in construction methods and the expression of design through physical model building. Audrey is currently a junior architect at ODA working on residential projects at various scales. Originally from northern California, Michael spent some of his early childhood in Africa before relocating to Vermont where he spent most of his formative years. Michael’s exposure to architecture began through a vocational trades program at his high school and started his career with a design-build firm in his hometown. His early opportunities led Michael to pursue a uniquely deliberate and self-directed path to licensure focused on professional experience. He supplemented his twelve years of professional experience with two years of independent studies at DIS in Copenhagen, Denmark. Prior to joining ODA, Michael worked with firms in Boston and New York on a variety of project types across multiple market sectors. Most recently, Michael was a Project Manager at Rafael Viñoly Architects where he led the conversion of a historic landmarked tower into luxury residential condominiums. Michael’s approach to architecture has been heavily influenced by extensive independent travel across Europe, South America, Asia and the Middle East – including a two month placement as a visiting architect at BRAC University in Bangladesh. Min was born and raised in Taipei, Taiwan. His interest in spatial design began during his undergraduate studies in theater, film and media. The overlay of cultural, international, visual, textural, as well as performance challenges has opened him to a global sense of design. He believes the combination of these experiences strengthen his passion for architecture. Min received his Master’s degree of Interior Architecture from Rhode Island School of Design. The architectural expertise of the program focused on adaptive reuse, intervention and transformation of existing structures. It also emphasized sustainable design. 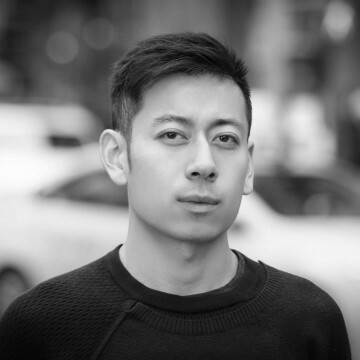 Before joining ODA, he completed a successful internship at Moshe Safdie Associates and worked as an architectural designer at Tighe Architecture. He enjoys exploring New York, as well as performing art such as plays, dance, musicals and jazz in his free time. Alex is from a small town neighboring the Great Barrier Reef on the east coast of Australia. 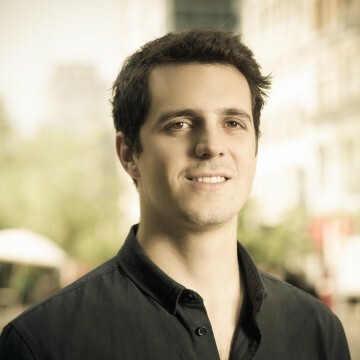 Prior to joining ODA as a Project Architect, Alex practiced as a licensed architect in Australia before exploring the Northern Hemisphere from London to New York where he led project teams across multiple continents focusing on large scale cultural, commercial, residential, as well as hospitality projects. Alex believes in efficient, sustainable performance-based design, development of spatial connections, technological integration, and key material selection. While working in the design industry, he obtained his Bachelor and Master of Architecture from the Queensland University of Technology. Nai is an Intermediate Architect at ODA currently focusing on the construction administration phase of the building process. He was born in Hong Kong but spent his formative years in Boston, Massachusetts and has lived in NYC for the past 10 years. 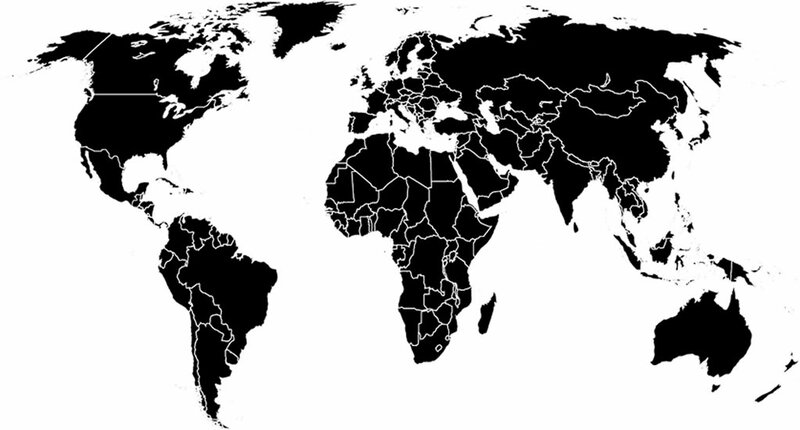 Nai has a Bachelor’s degree in Electrical and Computer Engineering from WPI and a Master’s degree in Architecture from Columbia University. He is interested in combining technology with smart architectural design to make the construction process more efficient and to create a better end-user experience. Along the path to becoming a Registered Architect, Nai has also worked as a bartender, hardware/software engineer, sports marketing associate and systems engineer. Nai is an avid sports fan, whether it is running or being on the field/court playing basketball, baseball or football. He also loves taking evening strolls with his Boston Terrier Jackson at the Brooklyn Bridge Park. Soo Bum You holds a Master of Architecture degree from Harvard University, Graduate School of Design and a Bachelor of Architecture from Korea University in South Korea. He is interested in the magic and alchemy of invention; these elements have a great influence on his approach to design. He believes the most beautiful architecture is birthed not by a designer but by people who can feel and imagine the magic hidden in daily life. At ODA, he works as an architect on residential projects. 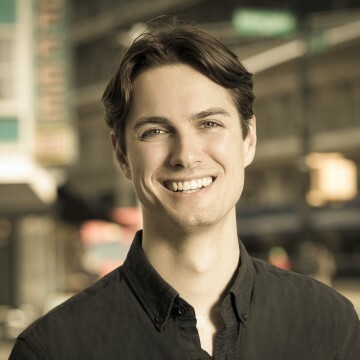 Zac Zeller earned his Master of Architecture degree from Louisiana Tech University in 2011, with his Masters thesis focusing on a model for flexible, modular public housing for Post-Katrina New Orleans. 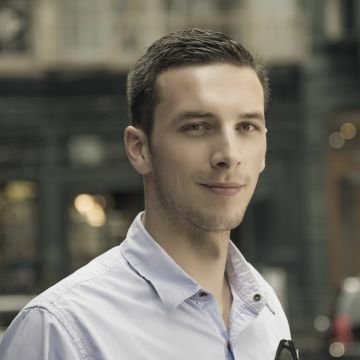 Upon graduation, Zac traveled to Vienna, Austria as recipient of the 2010 Louisiana A.I.A. Travel Fellowship, where he studied the Viennese model for social housing. 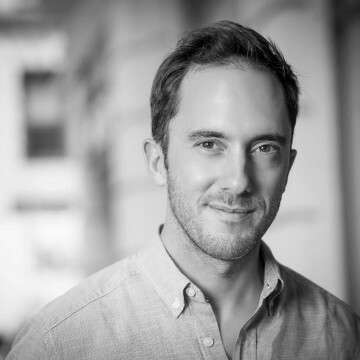 Since joining ODA, Zac's focus is concentrated on multi-family, residential work within New York City. 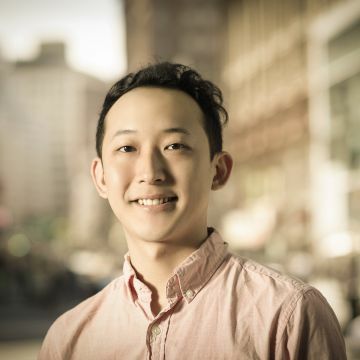 Originally from China, Shixiao earned his Master of Science in Advanced Architectural Design from Columbia University Graduate School of Architecture, Planning, and Preservation in 2015. Prior to joining ODA, Shixiao spent two years at Asymptote Architecture working on a variety of institutional, cultural, and residential projects in Russia, North America, and Asia. Shixiao believes that an architect’s role should be between that of a scientist and artist, and that architecture should be both rational and emotional at the same time. Thomas Heatherwick is his favorite contemporary architect. He is passionate about all kinds of design, loves traveling, as well as sports.